This entry was posted in Music, Old, Parish Life on October 14, 2015 by Maggie Marshall. The Welcome Back cookout is being held on this Sunday, September 13th after the 10am service outside the Parish Hall, hosted by the Parish Life Committee. Hot dogs, hamburgers and veggie burgers (plus all the fixings) and potato chips and beverages will be provided. We welcome all side dishes from members of the congregation, i.e. salads, sides, and desserts. Bringing a dish to share is not required but if you feel so moved, please bring something from one of the above three categories. Rain will move the cookout into the Parish Hall but will not cancel the event. We hope to see you all there – this is a fun event and it is great to see everyone after the long (not long enough in my opinion) summer! This entry was posted in Old, Parish Life on September 10, 2015 by David Shochat. 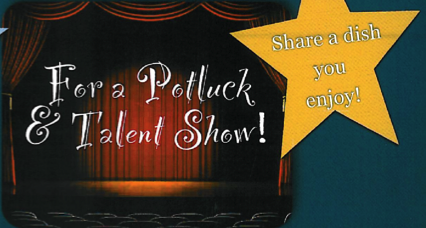 West Virginia Potluck Dinner and Talent Show – May 9, starting at 6p.m. with dinner, followed immediately by a Talent Show. This join venture with our Central Congregational friends, is fun and a fund-raiser for the West Virginia Work Camp. Hope to see many of you at the dinner, and please let Maggie know if you would like to take part in the talent show. You can contact her using the Contact Us page, choosing Choir Director from the “To be contacted” menu. This entry was posted in Old, Outreach, Parish Life on April 28, 2015 by Maggie Marshall. The British ARE coming! As many of you know, All Saints’ has hosted musical visitors three times from St. Peter’s Collegiate School, in Wolverhampton, England. If you are wondering how to spend next February vacation, worry no more – I have just the solution for you – open your homes and hearts to either students or adult chaperones from this school. They will be flying into NYC on 2/9, and will arrive here late afternoon 2/12, and will fly out of Boston on 2/18. This time, the Concert Band and Choir will be coming. Many more details will be forthcoming. They will be playing for a concert at All Saints’ on 2/13, and probably several times throughout the week at other venues. They will be doing group activities like snow tubing and sight seeing in Boston. We will be hosting somewhere between 60-75 students and adults. I will also be looking for help with logistics. These trips have resulted in lifelong friendships, and many who have hosted in the past have made visits to Wolverhampton to see their friends. Many Wolverhampton students have also returned here to visit. Please let me know if you are interested in learning more, or if you are willing to help me with this magical week. You can contact me using the Contact Us page, choosing Choir Director from the “To be contacted” menu. Maggie Marshall, Minister of Music. This entry was posted in Old, Parish Life on April 28, 2015 by Maggie Marshall. 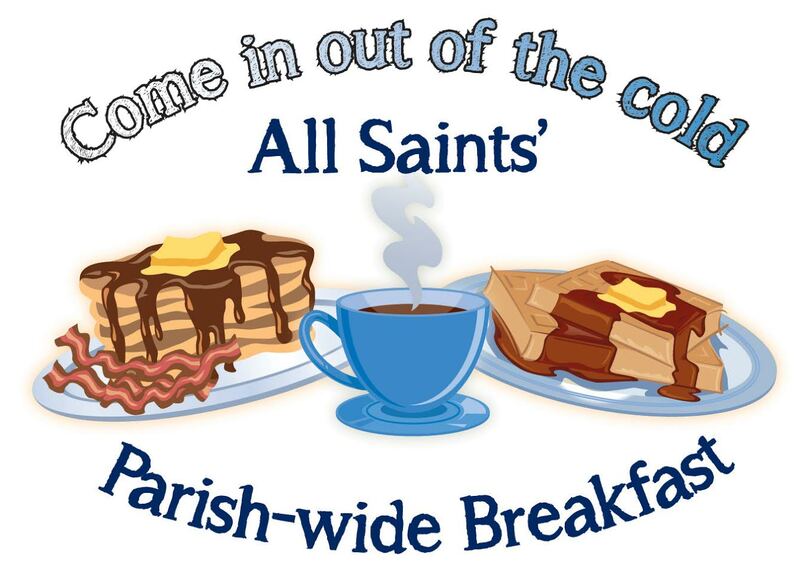 Come one, come all, to the 3rd annual parish breakfast hosted by the Parish Life Committee, being brought back by popular demand! It is a delicious hot breakfast including eggs, bacon, sausage, pancakes, two types of strata, as well as breads, fruits, muffins, juice and coffee. Food will be served between the two services on Sunday morning, January 25th, beginning at 9am. Put this event on your calendar with a reminder so that you remember it — you’ll be glad you did. Hope to see you all there!! This entry was posted in Old, Parish Life on January 17, 2015 by Elizabeth Landers. This entry was posted in Old, Parish Life on December 28, 2014 by David Shochat. O, COME, LET US ADORE HIM! January 6 – 7p.m. – The Epiphany – come join all of the choirs as we celebrate the 12th Day of Christmas. Followed by a dessert potluck in the Parish Hall. This entry was posted in Old, Parish Life, Worship on December 10, 2014 by Maggie Marshall. This entry was posted in Old, Parish Life on November 12, 2014 by David Shochat. Sunday, October 19th 5 PM – 7 PM. Rain date will be Sunday, October 26th. Please bring a folding/camping chair for a great night of campfire sing-a-longs. We will be providing hotdogs, mulled cider, hot chocolate and toasting s’mores. This entry was posted in Old, Parish Life on October 16, 2014 by David Shochat. 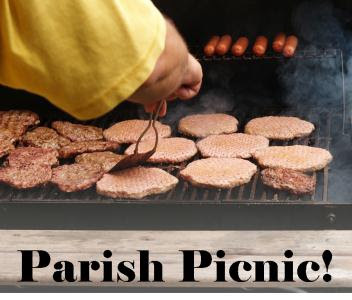 The Sunday after Labor Day, the Parish Life Committee will be hosting the annual Welcome Back cookout. It is the beginning of our church school program year as well as other regular activities that tend to “go on vacation” during the summer. There will be hot dogs, hamburgers, etc. served in the inner courtyard following the 10am service (or in the Parish Hall in the case of inclement weather). If you would like to bring a salad or a dessert to share it will be greatly appreciated; everything else will be provided. This entry was posted in Old, Parish Life on August 28, 2014 by Elizabeth Landers.